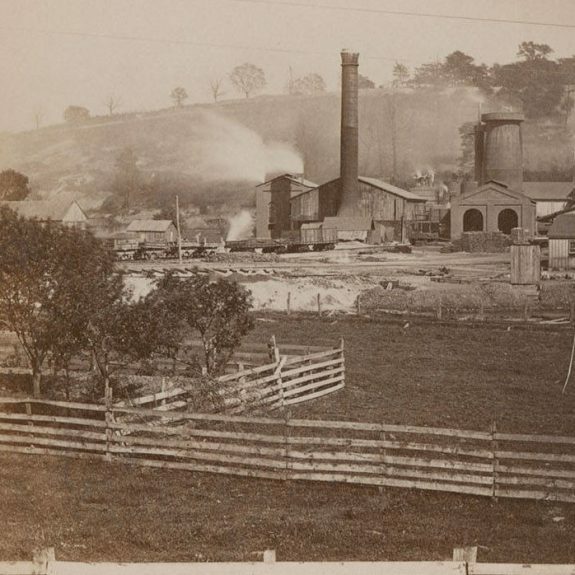 This nineteenth-century cokeworks near Scottsdale, in western Pennsylvania, viewed from a passing train on the Pennsylvania Railroad, processed coke, which is coal from which impurities like ammonia and hydrogen sulphide have been removed by burning it in a low-oxygen environment, a process similar to charcoal making. Because the coking process reduces the ratio of impurities to fuel (for example, carbon), coke burns hotter and weighs less by volume than coal. Cokeworks were often operated onsite at coal mines in western Pennsylvania to reduce transportation costs inherent in a lighter, hotter-burning fuel. 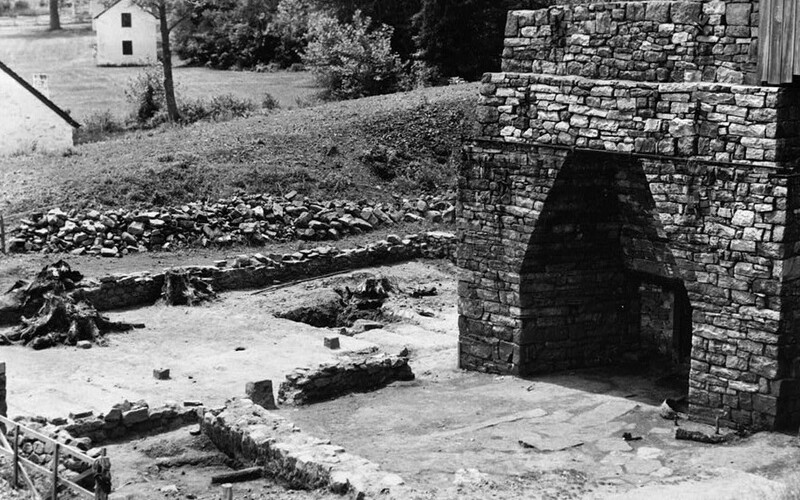 At Hopewell Furnace National Historic Site in Chester County, Pennsylvania, the remains of an iron furnace call attention to the region's history in iron production. Batsto, like other iron production facilities in the eighteenth and early nineteenth centuries, operated as an iron plantation. 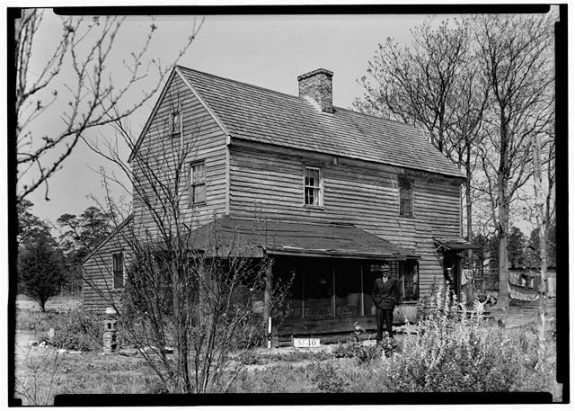 Workers who produced iron in the furnace would live near the furnace with their family in houses like the one pictured above. These plantations were self-sufficient communities. Families living on the plantation shopped in company stores, and their children would go to company schools. Batsto maintained this kind of industrial community from 1766 until 1876, when Joseph Wharton bought the no-longer-productive iron plantation in a master’s sale. Batsto Village started its life as an ironworks in 1766. Throughout the late eighteenth and into the nineteenth century, Batsto produced iron using readily available bog iron ore in the Pine Barrens region of New Jersey. Batsto, like other iron producers of the era, operated as an iron plantation. The owner of the plantation lived in a manor house (pictured here). As Batsto depleted its local supply of bog iron, it shifted to producing glass for a time. After its glass production ceased, Joseph Wharton bought Batsto in a master’s sale in 1876. 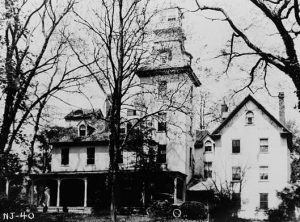 Wharton renovated the former manor house in the Italianate style seen here in the late nineteenth century. Wharton used the large property in the middle of the Pine Barrens to explore his interest in agriculture and forestry-related activities. Southern New Jersey and Berks and Lancaster Counties in Pennsylvania grew as iron-forging regions. Furnaces such as the one in this circa 1930s photograph of the old furnace in Cornwall, Pennsylvania, operated as self-sufficient iron plantations. Workers of the forge lived on the plantation with their families, shopped in company stores, and sent their children to company schools. The Cornwall Furnace was originally constructed in 1742 by Patrick Grubb and was renovated in the mid-nineteenth century by the subsequent owners of the furnace. It ceased operation in 1883. Iron furnaces provided the iron necessary to supply the growing economy of Philadelphia with iron for industries such as shipping and household wares manufacturing. Long before western Pennsylvania dominated the American iron and steel industries, southeastern Pennsylvania and southern New Jersey became the epicenter of colonial iron production. In a little over forty years beginning in 1716, Pennsylvania ironmasters erected nearly fifty furnaces and forges for producing iron stock and goods, and by 1840 the region’s national preeminence had been secured—Pennsylvania’s two hundred charcoal furnaces produced 286,000 tons of iron (half the national total), achieving a more than fivefold increase in just thirty years. 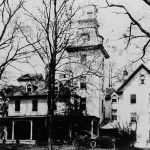 The foundation for this stupendous ascent began in colonial New Jersey, the birthplace of charcoal-fueled iron production in the Middle-Atlantic region. Industrial iron production, which originated in North America with the Hammersmith Works (est. 1643) at Saugus, Massachusetts, began in New Jersey in 1674 at the Tinton Falls Ironworks near Shrewsbury, Monmouth County. Ironworks opened in Burlington County, New Jersey, by 1715, and by 1730 Isaac Pearson (c.1685-1749) and his partners had fired the Mount Holly Ironworks—one of the oldest in southern New Jersey. 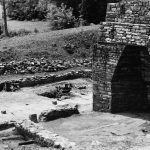 In Pennsylvania, meanwhile, Berks County’s Thomas Rutter (c.1660-1730) ignited Pennsylvania’s first forge, Pool Forge, in 1716 and Colebrookdale Furnace in 1720. Geographically and geologically, the counties of southern New Jersey were particularly well suited to charcoal-fueled iron production. 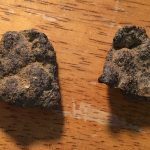 A chemical reaction between the tannin-rich waters of the Pine Barrens and underlying iron-rich green sands and marls formed iron-rich deposits of limonite, also known as bog iron or bog ore. 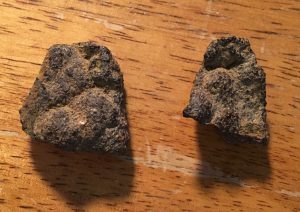 Bog ore could be harvested from the banks and beds of the region’s swamps and wet meadows with little effort. For fuel, colliers converted tens of thousands of acres of hardwood forests in the west and pines in the sandy east to charcoal. Coastal shell beds could be processed into lime and used as flux. In addition, southern New Jersey’s tidal creeks performed a double service by empowering bellows and massive trip hammers and floating iron from the interior to markets on the Delaware River and beyond. In Pennsylvania the forested Delaware, Schuylkill, and Susquehanna River Valleys provided ironmasters with fuel and waterpower. In contrast to southern New Jersey, where bog iron was easily harvested, Pennsylvania’s ironworkers had to mine natural deposits of magnetite, hematite, and carbonate to secure ore. In the absence of shell beds limestone deposits served as flux for their furnaces. The earliest colonial ironworkers typically operated simple furnaces known as bloomeries or Catalan forges. In these forges bloomsmen smelted (extracted) workable iron directly from base iron ore or from molten “pig” iron produced by the furnace. While some ironmasters anticipated shipping their iron stock to Britain, most sold to local craftsmen who produced wrought-iron nails, tools, hardware, wheel rims, and horseshoes for domestic markets, or directly to local merchants and consumers as cast-iron hollow ware and stoves. Early ironworks in southern New Jersey and southeastern Pennsylvania operated as nominally self-sufficient iron plantations. The ironmaster, founders, fillers, guttermen and colliers (some slaves, some freemen) lived on the plantation with their families. They shopped in company stores, and their children went to company schools. 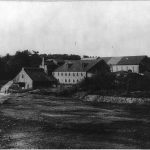 In addition to the furnaces and the “big house,” plantations frequently featured sawmills and gristmills, fields and orchards, stables and corncribs. Perhaps the best documented plantations were those developed by Charles Read (1715-74) of Burlington City and his partners from Philadelphia and New York between 1765 and 1767. They built New Jersey’s Atsion (1765-c.1846), Batsto (1766-c.1850), Etna (c.1766-73), and Taunton (c.1776-c.1830) ironworks. Well-preserved and well-documented ironworks in southeastern Pennsylvania include Hopewell Furnace (1771-1883) established by ironmaster Mark Bird (1738-1812), Cornwall Furnace (1742-1883) established by Peter Grubb (c.1702-54), and Johanna Furnace (1791-1898). During the eighteenth century, domestic demand for bar iron, cast iron, and iron products increased while English iron production experienced stresses like Queen Anne’s War (1702-13). In response, mid-Atlantic colonial iron makers invested in a more efficient, indirect method of iron smelting that permitted greater yields than the bloomery forge. By using a blast furnace that operated at a significantly higher temperature, smelters were able to convert iron ore to a stew of molten metal and slag; the liquefied iron could then be drawn off into molds. To produce workable iron like that from a bloomery forge, the molten iron could be further processed in a finery forge and shingled to produce more flexible and ductile bar iron. The indirect method of smelting was more complicated, required substantially more labor, and initial costs were high, but this indirect smelting process was more fuel-efficient. Using the indirect method, even poor grade ores could be employed to produce high grade iron. 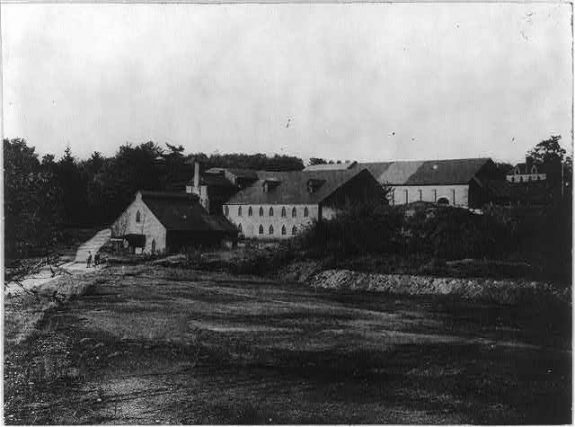 To meet the demand of growing markets, during the eighteenth and nineteenth centuries other technologies that increased efficiencies, lowered costs, and expanded the range of domestic and industrial products available were adopted, including the slitting mill, the rolling mill, and the coal-fired puddling furnace. By 1750 American ironmasters became major suppliers of iron to British manufactures and by 1775 they were the third-largest producers of iron in the world. Iron production in the hinterland provided Philadelphia with plentiful supplies of coal, coke, and pig iron, which supported craftsmen and manufacturers in the city. By 1810 Philadelphia became home to several dozen iron-dependent manufacturing interests—carriage makers, gun factories, naileries, saw factories, and more—as well as several hundred blacksmiths. By the 1870s nearly two hundred fifty blacksmiths and nine hundred manufacturers of iron goods (and one blast furnace) could be found in the city. Manufacturers produced hardware, hollowware, and stoves; steam engines and boiler plate; locomotives and ships; and iron stock (bar iron and sheet iron). Nineteenth-century iron goods manufacturers in and around Philadelphia included the Schuylkill Ironworks at Conshohocken (est. 1837), a rolling mill that produced sheet and plate iron; the Port Richmond Ironworks of I.P. Morris, Towne & Co. on the Delaware, which produced machinery, steam engines, and boilers (est. 1845); the Baldwin Locomotive Works (c. 1831-1920s); and, the William Cramp & Sons Ship and Engine Building Company shipyard (1830-1927). Although a few iron plantations persisted into the late nineteenth and early twentieth centuries, most were gradually supplanted by the 1840s. In southern New Jersey, difficulties became evident by the early nineteenth century when most ironworks, having exhausted local supplies, had to import both fuel and iron ore by barge. At the same time charcoal-fueled iron production could not compete with newer, more efficient furnaces that employed anthracite and coke-fueled hot-blast technology. Furthermore, while charcoal iron was suitable for products such as agricultural implements and nails, railroads and other nineteenth-century industries preferred more durable hot-blast iron produced with anthracite coal and coke. Iron producers in southeastern Pennsylvania fared somewhat better. The advent of new smelting processes and technologies that employed coal or coke as fuel, together with the discovery of high grade mineral ores in the interior, competition from English producers, and cyclical market fluctuations, caused a gradual shift of the center of the iron industry to the north and west. There, ironworks could be established closer to Pennsylvania’s anthracite and bituminous coal deposits and sources of high-grade mineral ore. Those ironworks in southeastern Pennsylvania that managed to remain competitive into the twentieth century did so by producing technically complex specialty products like boiler-plate, mechanical components, ship hulls, and steel. 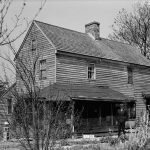 By the end of the nineteenth century, the last of the charcoal iron forges and furnaces in southeastern Pennsylvania and southern New Jersey were cold and quiet. Even older operations that adopted new technologies and fuels gradually fell to larger, more efficient competitors in the West. 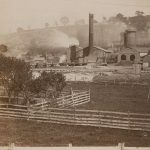 By the 1880s the Durham Furnaces (c. 1850–c.1887) and Bristol Forge (c. 1844–before c. 1878) of Bucks County were shuttered, as well as Merion Furnace (c. 1847-1880) and Norristown Furnace (c. 1869-1874) in Montgomery County; Isabella Furnace (c. 1835-1880) and Hibernia Rolling Mill (c. 1835- before c. 1880) in Chester County; and the Old Sable Iron Works in Delaware County (c. 1808-before 1875). Nonetheless, Pennsylvania’s iron producers and manufacturers remained competitive into the twentieth century by adopting new technologies and developing new products. Not until the latter twentieth century did the widespread deindustrialization of the American economy finally crush iron and iron-goods production in Pennsylvania, destabilizing the economy of entire regions, depopulating once thriving cities, and initiating a decades-long search for ways to reclaim the prosperity that the iron industry once provided. Brian Albright is a graduate of Rutgers University-Camden and Senior Historian at engineering firm AECOM in Burlington, New Jersey. His interests include the industrial, labor, and social history of Philadelphia in the nineteenth and early-twentieth centuries and the environmental history of the mid-Atlantic region. Bining, Arthur Cecil. Pennsylvania Iron Manufacture in the Nineteenth Century. Harrisburg: The Pennsylvania Museum and Historical Condition, 1973. Boyer, Charles S. Early Forges and Furnaces in New Jersey. Philadelphia: University of Pennsylvania Press, 1963. Durfee, William F. “The Development of American Industries since Columbus: I. Early Steps in Iron Making.” Popular Science Monthly, December 1890, 145-172. Durfee, William F. “The Development of American Industries since Columbus: II. Iron Mills and Puddling-Furnaces.” Popular Science Monthly, January 1891, 314-338. Gordon, Robert B. American Iron, 1607-1900. Baltimore: Johns Hopkins University Press, 1996. Mulholland, James A. A History of Metals in Colonial America. Alabama: University of Alabama Press, 1981. Pennsylvania Society of the Colonial Dames of America. Forges and Furnaces in the Province of Pennsylvania. Philadelphia, 1914. Pierce, Arthur D. Iron in the Pines: The Story of New Jersey’s Ghost Towns and Bog Iron. New Brunswick: Rutgers University Press, 1957. 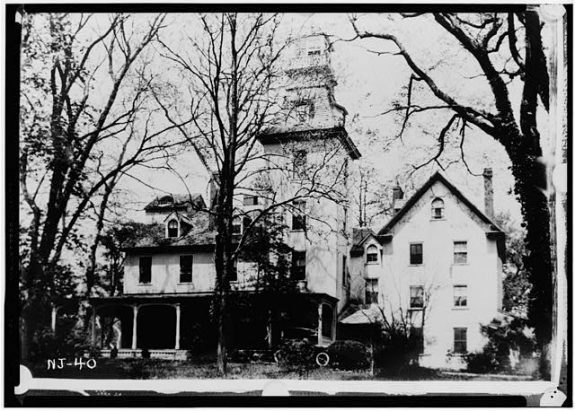 Walker, Joseph E. Hopewell Village: The Dynamics of a Nineteenth-Century Iron-Making Community. Eastern National, 2000. Cyrus J. Sharer research files on the iron ore and steel industries; Lukens Steel Company records; and Brandywine Ironworks and Nail Factory correspondence, Hagley Museum and Library: Manuscript and Archives Department, Greenville, Del. Phoenix Iron Company records, Historical Society of the Phoenixville Area, Phoenixville, Pa.
Hatfield and Hibernia Park records, Chester County Archives, West Chester, Pa.
Batsto Village National Historic Site, 31 Batsto Road, Hammonton, N.J.
Hopewell Furnace National Historic Site, 2 Mark Bird Lane, Elverson, Pa.
Cornwall Iron Furnace State Historic Site, 94 Rexmont Road, Cornwall, Pa.
National Iron and Steel Heritage Museum, 50 S. First Avenue, Coatesville, Pa.
No mention of Reading & Warwick Furnaces in Chester County? The role of local Iron making in the revolution etc.? There are of course dozens of local furnaces and forges in southeastern Pennsylvania and southern New Jersey not specifically mentioned in the essay but Reading Furnace is a great example of the historical trajectory of iron production in the region. First built in 1736 the furnace produced hundreds of tons of iron pig until 1778 when it was shuttered. Obsolete and out of blast for eight years, the furnace was then demolished and a forge was built on its foundation in 1786. The furnace remained in operation until 1811 after which iron working at the site was abandoned entirely. You are correct in noting the contributions that Philadelphia-area ironmasters made to the Revolutionary War effort. Establishments like Hopewell Furnace successfully contributed supplies of shell, shot, and cannon to the Continental Army despite their previous inexperience in producing munitions. However, because wartime arms production among Philadelphia-area ironmasters was a relatively short-lived phenomenon that was greatly reduced after 1783, it exerted relatively little influence on the overall development of the industry in the region. So while munitions production was of great importance to the American Revolution, it had only a modest influence on the overall developmental history of iron production in southeastern Pennsylvania and southern New Jersey (in my opinion).